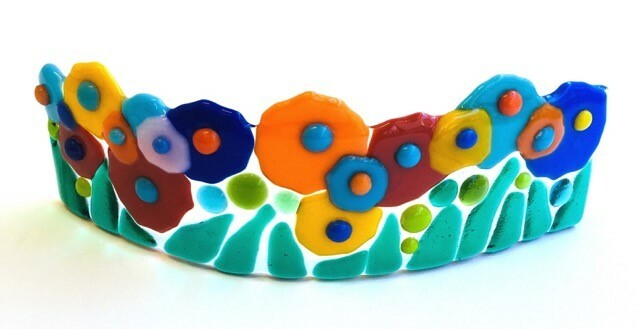 Honor Spring flowers and the queens in your life with this beautiful fused glass creation inspired by the artwork and style of Mexican Artists Frida Kahlo. You will work on a 2.5 a 10 inch clear glass and use colored glass to design your own crown. We fuse the glass and then use a wave mold to create a tabletop work of art. Your creation will be ready two weeks after your class. This class is suitable for ages 8 and up and great for beginners.